The Russian magazine Esquire came up with some pretty shocking figures: It would be cheaper to pave one 48km road for the Sochi Olympics with elite beluga caviar than asphalt. The total cost would come in at a cool 227 billion rubles, or $160 million per kilometer – five times higher than what it costs to build an equivalent stretch of Autobahn! (It’s also 2/3 of what Russia spent on all road construction in 2009). But even under the most charitable assumptions, that the Sochi road will be built to the highest traction and environmental standards, doesn’t this mean that at least 80% of the Sochi road funds are being stolen? Not really. The only problem with looking at Russia through this failed state prism, without bothering to corroborate sources, is that in no sense can the Adler-Krasnaya Polyana route be described as just a “roadway”. 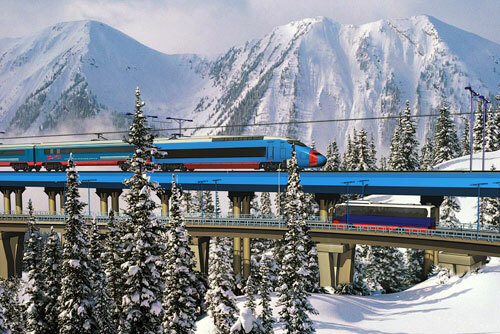 Intended to be completed within 3 years in an area with a poorly developed infrastructure, this so-called “road” also includes a high-speed railway, more than 50 bridges, and 27km of tunnels over mountainous, ecologically-fragile terrain! So once we establish the elementary fact that this is more than just a road, things begin to make a lot more sense. 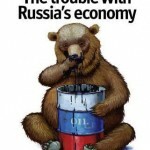 True, the $8bn figure may well be significantly inflated by the corruption, kickbacks and monopoly price distortions typical of the Russian construction industry. However, this is not the blatant money-laundering operation implied by media outlets like The Other Russia when they imply that these huge numbers are only being used to build one single, 48km road. I’ll end this short post by making three observations. First, corruption is bad enough in Russia without exaggerating it into Congo-like dimensions, where $1bn of gold exports bring in just $37k for the state treasury! (Closer to the Homeland, Massachusetts managed to spend $15bn, rising to $22bn with interest payments, on a few kilometers of shoddily-constructed tunnels). Now this isn’t to play a whataboutist game or imply that the US is more corrupt than Russia (it quite simply isn’t). But some degree of comparative perspective is certainly needed. Second, the real issue at hand is the social justice of spending so many state funds on an elite ski resort that only the upper quartile of Russians and foreigners can enjoy. On the one hand, the national prestige of holding an Olympics is at stake. On the other hand, it diverts money – along with white elephants like the Far Eastern bridge to nowhere – from other priorities such as the general national infrastructure. This should be the real locus of the debate. H/t @ the commentators on this post by Julia Ioffe for some links and ideas.